The opener of the ninth annual Tuckassee Toilet Bowl Classic and $3,000 was on the line as the drivers tried to find a way past the slower cars. And it appeared Shirley was the first to solve that puzzle, diving between them in turn three to apparently reclaim the lead he’d held the first nine laps. Arthur stuck his No. 87 in the low groove exiting turn four, wedged past the slower cars himself and managed to hold a narrow margin at the stripe on Shirley for the third straight lap. From there, he pulled away for his first victory at Clarksville and first on the MARS DIRTcar Series. “When I made that move to shoot underneath of ‘em, and we come off the frontstretch, it was him next to me — and that’s what I wasn’t expecting,” said the pole-starting Shirley of Chatham, Ill., who ended up second in the 30-lap feature. When the moment of truth came, the Forest, Va., driver wasn’t shy. Making the most of that opportunity, Arthur built more than a half-straightaway advantage by the midway point, then kept Shirley in check when things tightened up amid traffic again in the final five laps. It gave Arthur his first victory in two 2013 outings and a third major triumph going back to last year’s late-season hot streak of two $10,000 victories. Home-track standout Caleb Ashby of Cunningham, Tenn., was third with Dustin Walker of Peculiar, Mo., in fourth for his best career MARS finish. Terry English of Benton, Ky., rounded out the top five. Reigning MARS champion Jesse Stovall of Galena, Mo., winner of last year’s Toilet Bowl finale, started fourth and ran in the top five early before fading to seventh. Shirley wasn’t too disappointed in his first outing of 2013 in a brand new car. The feature was slowed by two early cautions, first for Bryan Singleton’s turn-one spin on the third lap, then when seventh-running Justin Wells spun into the infield on the fifth lap. 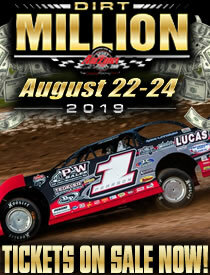 Action continues Saturday evening at the Tuckassee Toilet Bowl Classic with a $5,000-to-win MARS event along with several local divisions. Shirley hopes to beat Arthur and everyone else in the finale. Notes: Walker Arthur’s MasterSbilt by Huey is sponsored by Cams Racing Engines and Cecil B. Arthur Beef Farm. ... Arthur’s solid start to 2013 follows a pair of $10,000 victories late last season at his home track Natural Bridge (Va.) Speedway and County Line Raceway in Elm City, N.C. ... Nineteen of 27 starters finished on the lead lap at Clarksville. ... A generous seven provisionals were added to the Super Late Model feature, including MARS provisionals Justin Asplin and Leroy Johnson. ... Among drivers failing to make Friday's MARS main event: Jacob Magee, Leroy Johnson Steve Thorsten, Jason Riggs, Mutt Trotter, Shawn Knuckles, Jeff Babcock, Mike Hammerle and Mitchell Lingauer, who got the worst of an accident in the second consolation race. ... Jeff Walston of Paducah, Ky., won the Crate Late Model feature narrowly over Arthur. Tuckassee Toilet Bowl Classic: (1) Walker Arthur, (2) Brian Shirley, (3) Caleb Ashby, (4) Dustin Walker, (5) Terry English, (6) David Turner, (7) Jesse Stovall, (8) Tony Jackson Jr., (9) Dennis Erb Jr., (10) Justin Wells, (11) Brandon Sheppard, (12) Carnell Parker III, (13) Jason McBride, (14) Clayton Miller, (15) Kyle Logue, (16) Dewayne Kiefer, (17) Dustin Butler, (18) Levi Ashby, (19) Scott Schmitt, (20) Larry Greer, (21) Matt Johnson, (22) Leroy Johnson, (23) Bryan Singleton, (24) Justin Asplin, (25) Mark Voigt, (26) Chris Simpson, (27) Dillan White. Fast qualifier (among 43 cars): Arthur, 12.933 seconds. Heat race winners: Shirley, C. Ashby, Arthur, Stovall. Consolation winners: Kiefer, Miller. Provisional starters: Asplin, Greer, Johnson, Singleton, L. Ashby, White, Schmitt.